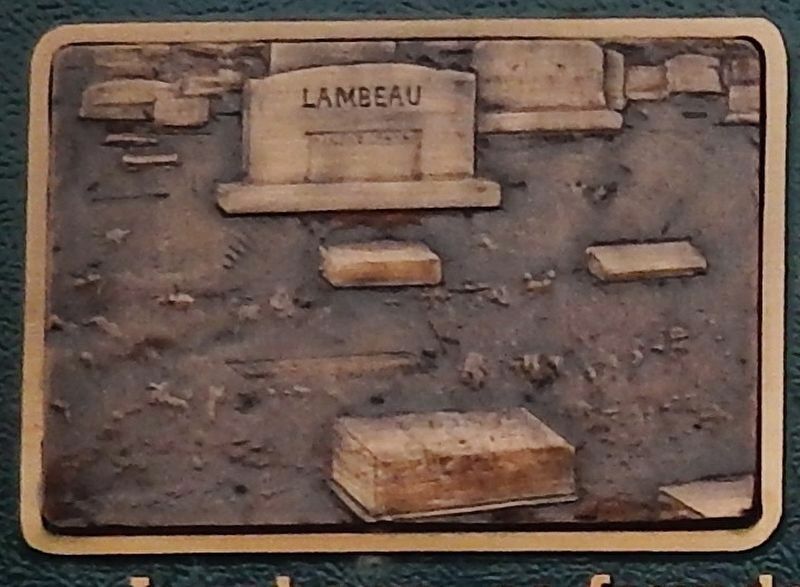 Curly Lambeau is buried in the southeast corner of Allouez Catholic Cemetery, which is located almost directly east of here. He is buried in a family plot along with his father Marcel, mother Mary, and brother Oliver and his wife, the former Dorothy Haslam. 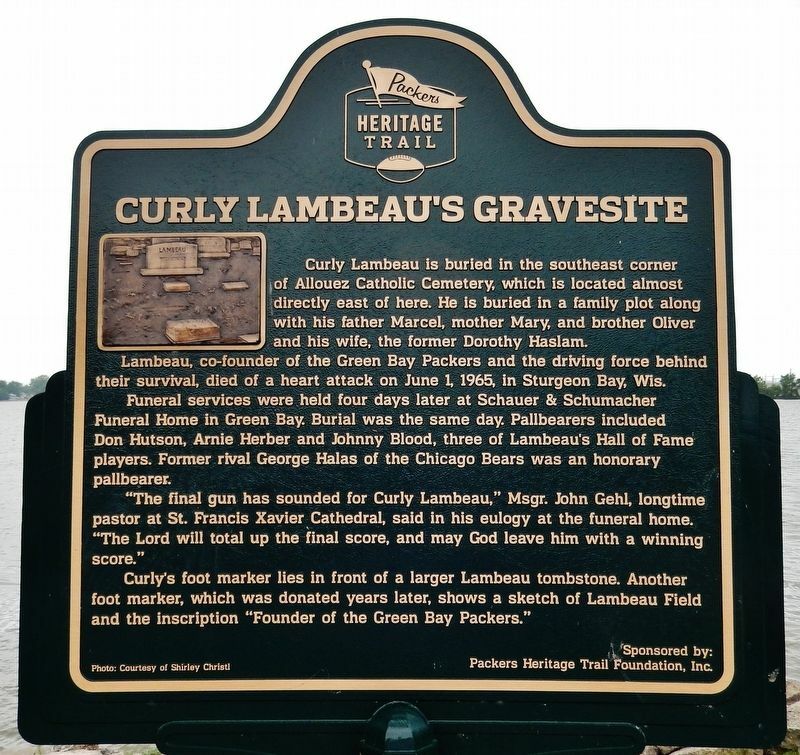 Lambeau, co-founder of the Green Bay Packers and the driving force behind their survival, died of a heart attack on June 1, 1965, in Sturgeon Bay, Wis.
Funeral services were held four days later at Schauer & Schumacher Funeral Home in Green Bay. Burial was the same day. Pallbearers included Don Hutson, Arnie Herber and Johnny Blood, three of Lambeau's Hall of Fame players. Former rival George Halas of the Chicago Bears was an honorary pallbearer. 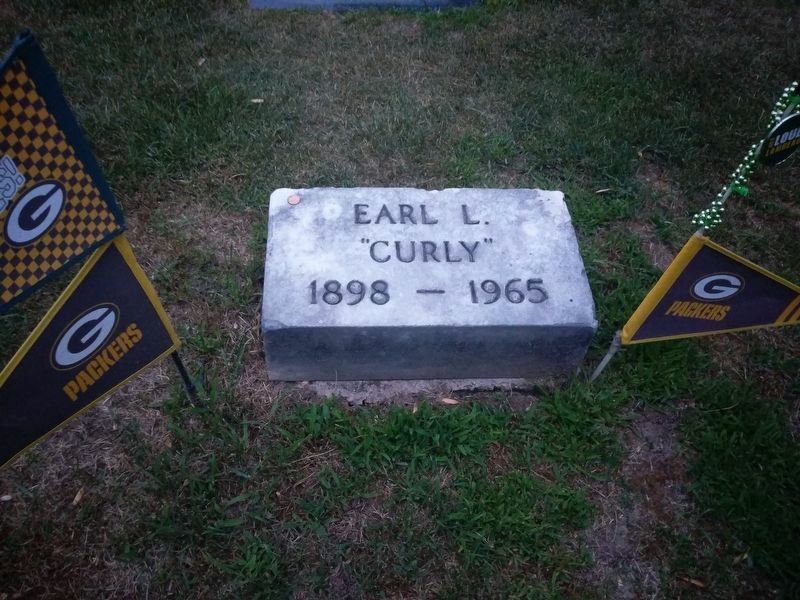 "The final gun has sounded for Curly Lambeau," Msgr. John Gehl, longtime pastor at St. Francis Xavier Cathedral, said in his eulogy at the funeral home. "The Lord will total up the final score, and may God leave him with a winning score." of the Green Bay Packers." 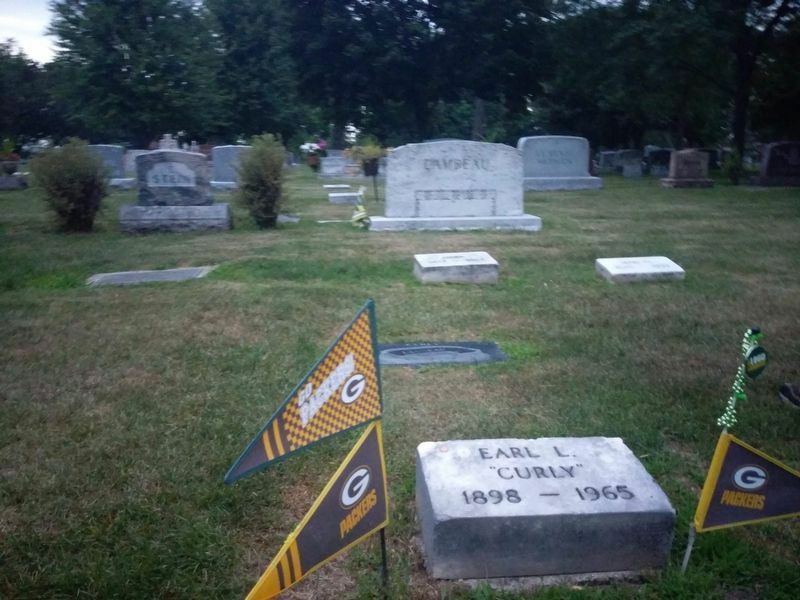 Sponsored by: Packers Heritage trail Foundation, Inc. Location. 44° 29.053′ N, 88° 1.88′ W. Marker is in Allouez, Wisconsin, in Brown County. Marker can be reached from Riverside Drive north of West Allouez Avenue, on the left when traveling north. Touch for map. Marker is located on the Fox River Trail, overlooking the Fox River. Marker can be accessed from the parking lot adjacent to the trail at this address. 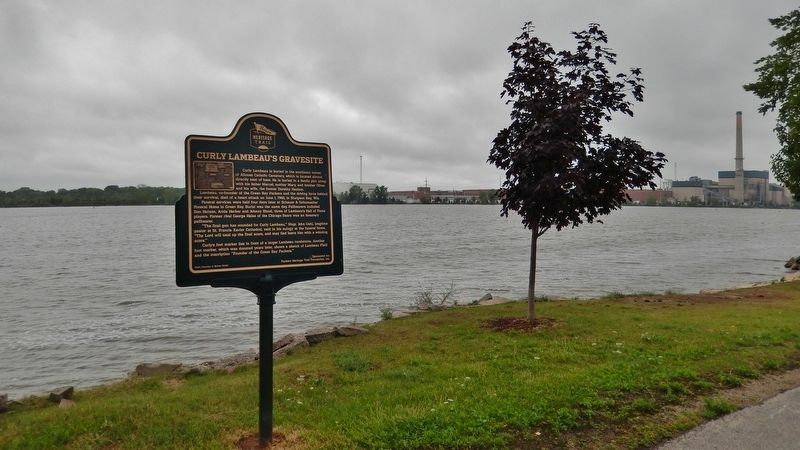 Marker is at or near this postal address: 2200 Riverside Drive, Green Bay WI 54301, United States of America. Touch for directions. Other nearby markers. At least 8 other markers are within walking distance of this marker. Shantytown (a few steps from this marker); First Redemptorist Church in America (about 400 feet away, measured in a direct line); First Episcopal Mission in Wisconsin (approx. 0.4 miles away); The Port & the Environment (approx. 0.6 miles away); Minahan's Tomb (was approx. 0.7 miles away but has been reported missing. ); Menomineeville, Seat of Justice (approx. 0.7 miles away); The Catholic Bark Chapel (approx. ¾ mile away); Site of Camp Smith 1820 (approx. ¾ mile away). Touch for a list and map of all markers in Allouez. for a list of markers that are related to this marker. 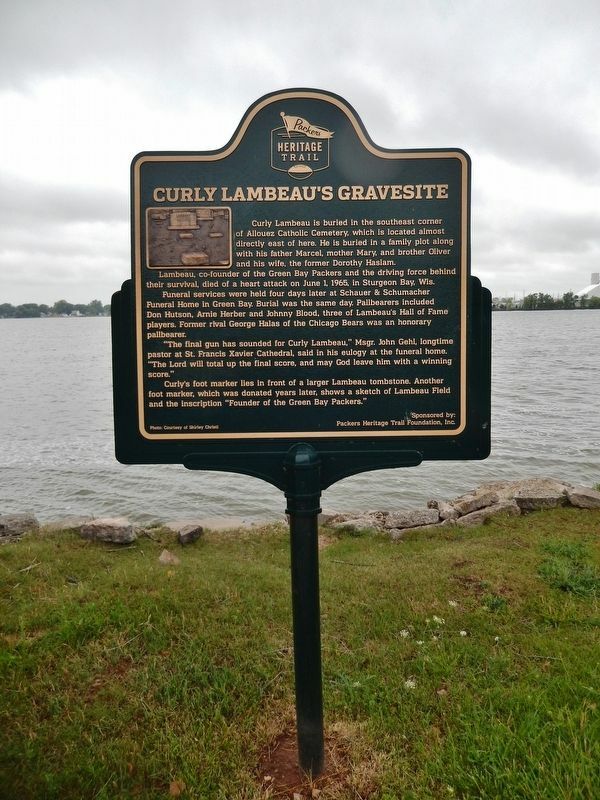 This list of Packers Heritage Trail markers was meant to be viewed in the order listed. More. 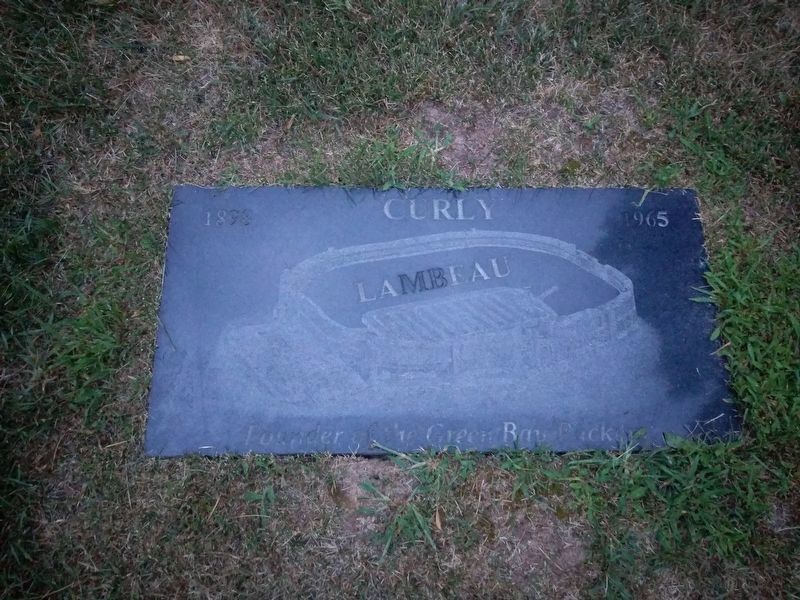 Search the internet for Curly Lambeau's Gravesite. Credits. This page was last revised on March 29, 2019. This page originally submitted on July 21, 2018, by Cosmos Mariner of Cape Canaveral, Florida. This page has been viewed 134 times since then and 64 times this year. Last updated on March 28, 2019, by Devon Polzar of Port Washington, Wisconsin. Photos: 1, 2, 3, 4. submitted on July 22, 2018, by Cosmos Mariner of Cape Canaveral, Florida. 5, 6, 7. submitted on March 28, 2019, by Devon Polzar of Port Washington, Wisconsin. • Andrew Ruppenstein was the editor who published this page.